Thorneycroft conveyancing solicitors provide comprehensive, cost effective conveyancing services in Macclesfield, Buxton, Holmes Chapel and Whaley Bridge. Our conveyancing process is designed to safeguard your interests at every stage of the transaction, whether you are buying, selling or re-mortgaging your property. 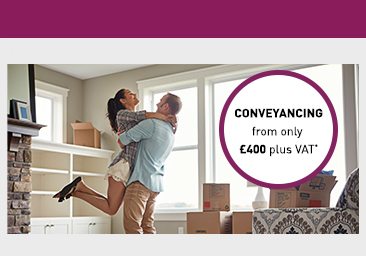 Our specialist property conveyancers offer a fast, friendly and efficient service and you will have a dedicated person dealing with your transaction from start to finish. In order to ensure that all processes run as smoothly as possible, our conveyancing team will keep in regular contact with you at each stage of the transaction. Thorneycroft Solicitors has been granted Conveyancing Quality Scheme (CQS) accreditation by the Law Society. The CQS provides a nationally recognised quality standard for residential conveyancing solicitors, ensuring that you as clients can be assured that you will receive a quality service from fully qualified and experienced solicitors. Whether you are buying, selling or remortgaging a property, our experienced and dedicated conveyancing team will guide you through the process. When dealing with the sale of a home, we prepare a contract and liaise with the purchaser’s solicitor leading up to exchange and completion, including replying to any enquiries received from the purchaser’s solicitor. Our property conveyancers then obtains up to date redemption figures from your mortgage company and, upon completion, we will redeem your mortgage and arrange for payment estate agents and for the net proceeds to go to you. When dealing with a purchase, our property conveyancers look to ensure that the property which you are buying does not cause any unforeseen problems or title related issues which may impact your ownership. This involves, approving of contracts, reviewing the legal title or unregistered deeds, carrying out searches, going through conditions of the mortgage offer (if applicable), arranging deposit and organising exchange of contracts. Once contracts are exchanged, we arrange for funds to be transferred in time for the scheduled completion date so that the property is yours. Finally we arrange payment of Stamp Duty Land Tax and registration of the property in your name at HM Land Registry. When dealing with a remortgage, whether it be increasing your current mortgage or switching lenders, our property conveyancers will liaise with your lender(s) up to completion. Upon receipt of your new mortgage offer we will issue you a mortgage report based on your offer, arrange any searches required or legal indemnity insurance(s) and apply for a redemption figure from your current lender. We will request the release of the mortgage funds and upon completion redeem your previous mortgage in order to discharge the balance. For a competitive quote please click here. If you were referred to us by an introducer where we will pay them a referral fee, we will provide you with details of the arrangement and the fee we pay in the client care information that we send you at the start of your transaction. Why do you need a conveyancing solicitor? With Thorneycroft Solicitors you have peace of mind in the knowledge that all our conveyancing work is carried out by a dedicated team made up of fully qualified solicitors.